Seeing these pictures from when school was still in session made me think just where is this dress now? I haven't seen it in awhile which lead me to realizing it, and I'm guessing many other items, are still at the dry cleaner. My summer wardrobe requires pretty much zero dry cleaning. And since I don't really drive during the summer I guess I won't be seeing this dress for some time. Too bad, I think it would be great for the upcoming wedding we are attending this weekend. These flats I saw on a shop girl at Anthropologie and had to know where they were from. Surprisingly enough they were from Amazon for around $20. Naturally, flats are the easiest option when running around my classroom so these were a great buy that will get a lot of wear when school is back in session. 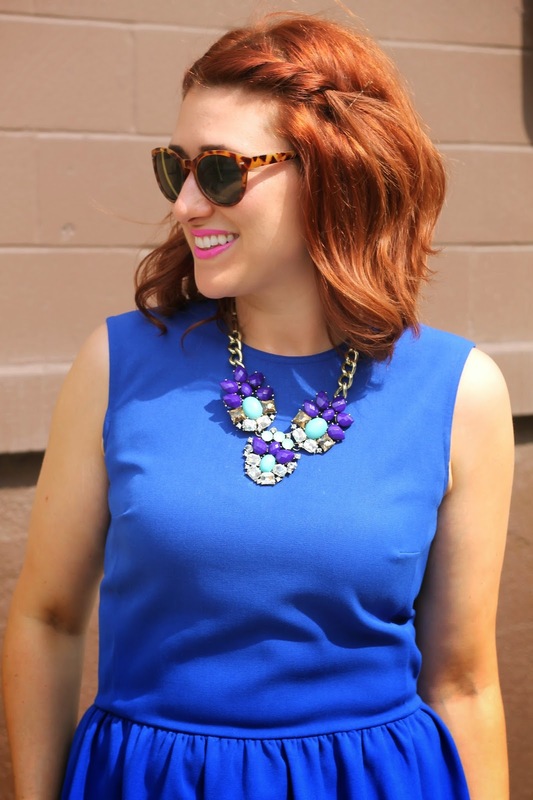 You've also seen this necklace this week on this post, but did you know it's less than ten bucks? That's right! Click here to get your own. 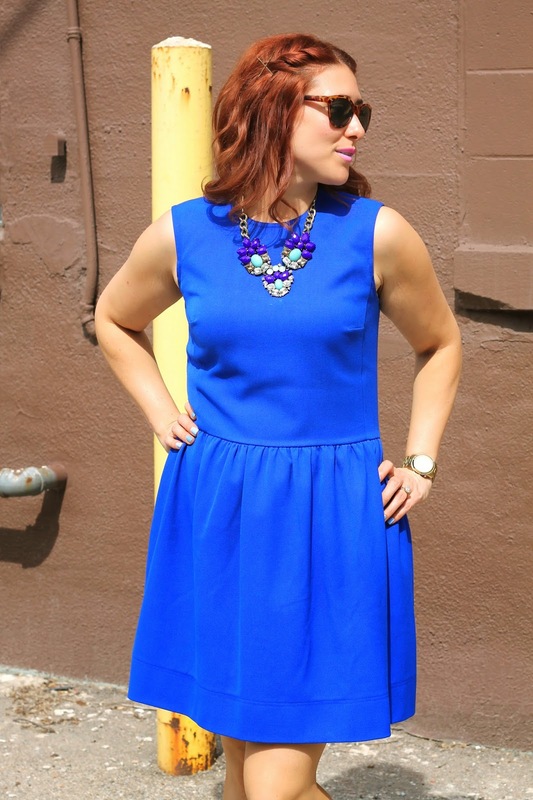 Love the Cobalt Blue! It looks great with your hair color too! Thanks Jessie! Hope you had a great weekend!